Khulekani Mathe is currently acting head of the National Planning Commission Secretariat in the Presidency. He joined the public service in 2007 as Senior Policy Analyst in the Policy Coordination and Advisory Services in the Presidency. He moved to the National Planning Commission Secretariat, as one of the sector experts in March 2010. During the drafting of the National Development Plan, he was responsible for education, health and social protection. 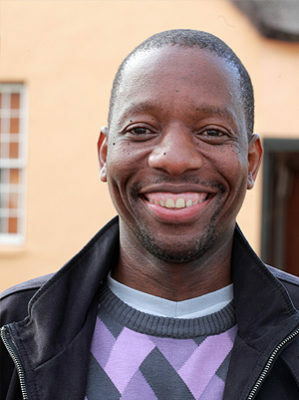 Prior to joining the public service, Khulekani worked for Procurement Dynamics, a development consultancy and a number of education NGOs in KwaZulu Natal. He was Programme Manager at Operation Upgrade of South Africa and Executive Director at Tembaletu Community Education Centre. Mathe served on many committees in the education, skills development, and the welfare sectors in the 1990s and 2000s. He was an Alternate Board Member of the Unesco Institute for Lifelong Learning representing South Africa. He also serves on the Advisory Board of the Real Centre at the University of Witwatersrand; on the External Advisory Board of DataFirst at the University of Cape Town; member of the Think Tank overseeing the implementation of the Carnegie 3 Inquiry Initiative. He holds a master of education degree from University of Natal; a master of science in development finance degree from Manchester University; a post-graduate diploma in adult education from University of Natal, and an adult basic education and training certificate from Unisa. He is a Fellow of the ninth class of the Africa Leadership initiative and a member of the Aspen Global Leadership Network.